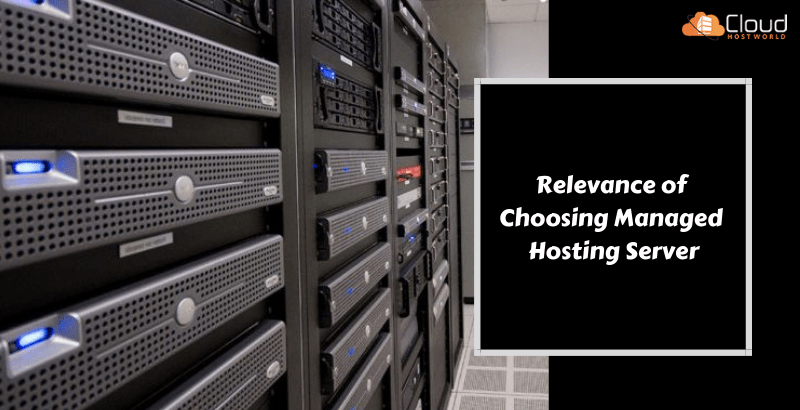 Picking the hosting solution that suits and fulfills your requirements is the most important decisions one needs to make for hosting a website. Plenty of hosting options are available in the market currently; shared hosting, VPS hosting, and dedicated hosting. Apart from having these many hosting categories, no platform can match the level of service you’ll be getting as the one you get with a dedicated server. In a dedicated hosting service, a server that is given to the client is exclusive to that specific client itself. No other user will be sharing the resources or have access server data of the client. The client will be having full control over the server, hence assuring the client of the website is more secure and performing well. 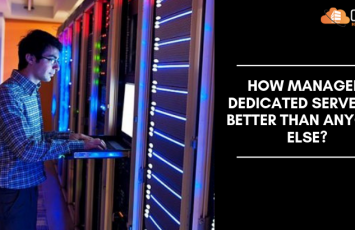 Below are mentioned some aspects that are quite relevant regarding the managed dedicated server and why you should choose it. A website is visited by ‘n’ number of people at a time. This huge rush of visitors makes a website slowdown, which is not at all desirable. This all happens in case of regular hosting platforms. A regularly shared hosting platform is suitable for low to medium range of website traffics. In a managed dedicated server, the website traffic management is quite efficient. This traffic management does not affect the website performance and hence keeps the website more stable. A managed dedicated hosting platform is therefore very much reliable than any other hosting platforms. A dedicated server also assures you with the optimum level of security. It does not allow any malicious website to be linked with your website and also any spammer or hacker cannot break the firewalls of your website. A Managed Dedicated Server will never let you down in terms of server break down. The team here effectively works on resolving the server issues without the server being stopped. The expertise present in the team immediately resolves the issues and hence proves to be the best support team. It is agreed that managed dedicated hosting services are quite expensive, but they are the ones you the best user experience. If you are thinking of anything better than a regular shared hosting package for your business modules, managed dedicated servers are the best. They are the best alternatives present in the market. Hardware and software requirements change with coming time. This majorly depends on the change in project scope and duration. Making use of the right tools is only possible when web hosting is outsourced. If the right tools are used, high costs should high never be a major issue. Managed dedicated hosting gives you an assurance that whenever you require more amount of resources for your organization or business module, you’ll be delivered with it on the same day. A dedicated team hence serves you immediately. On the contrary, this is not at all possible in case of the regular shared hosting services. It takes over a week to provide you with the resources you require and hence it disappoints you to a greater extent due to delayed delivery. 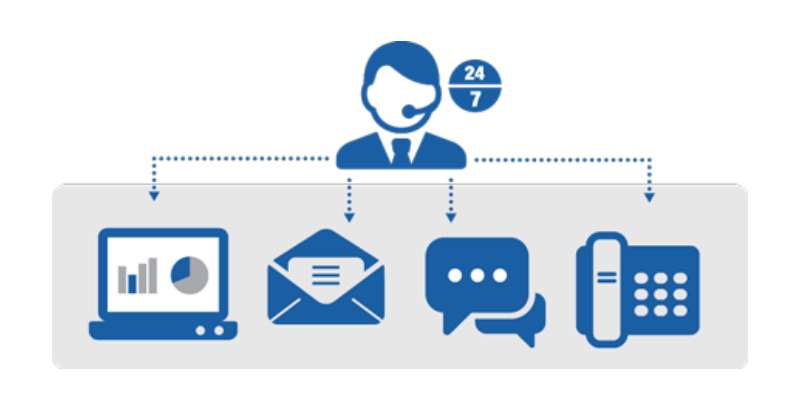 A managed dedicated hosting platform can handle almost a dozen clients at a time. This will cost very less as compared to the in-house hosting platform. You just need to hire an expert panel to handle and monitor the server efficiently. This surely results in a decrease in overhead costs required for a single managed dedicated site. If any organization is in need of a dedicated server but does not have ample time to manage it by them, a managed dedicated server is the way in which you can save your own time and money as well. Using a managed dedicated server you will be easily able to access the server resources. A dedicated server platform takes care of the server equipment building cost along with its maintenance. The costs also include the reduction of the extra charges required for purchasing the server space for business and also prove for assured return on investments (ROI). Fluctuating server speeds, sudden server breakdowns, and more such issues commonly are seen taking place with the regular hosting service providers. Such issues when taking place, the server takes time to come back to normal as it takes much time to resolve the issues. This happens due to an unskilled panel of server managers not being able to handle the issues efficiently. Iterative software updates are very common these days. The same is with updating a server. A dedicated team of expert professionals is always present in a managed dedicated hosting platform which helps you out for server updates available round the clock. This hence aids in taking advantage of the new and updated features of the hosting platform. Managed dedicated hosting platform is the best due to the above major advantages it offers. It offers best in the market service and features, making the clients happy forever. Outsourcing server management leads in a highly reduced overhead and hence making it affordable for all business levels. Managed dedicated hosting platform shall hence be chosen for a website that would be having a huge burst of traffic or a person or an organization simply wishes to have complete control over their server. As aforementioned, it’s the option that offers the most control and best performance for your site. A dedicated hosting server is also very easier to be configured beyond expectations.